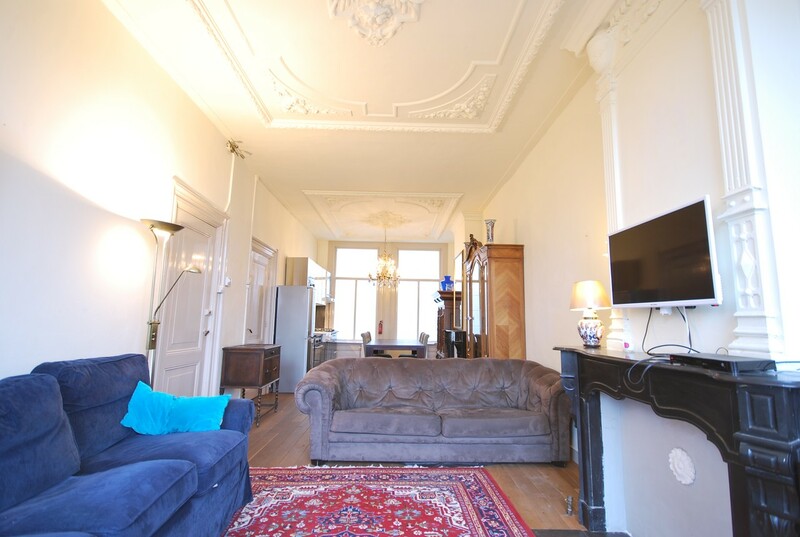 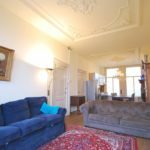 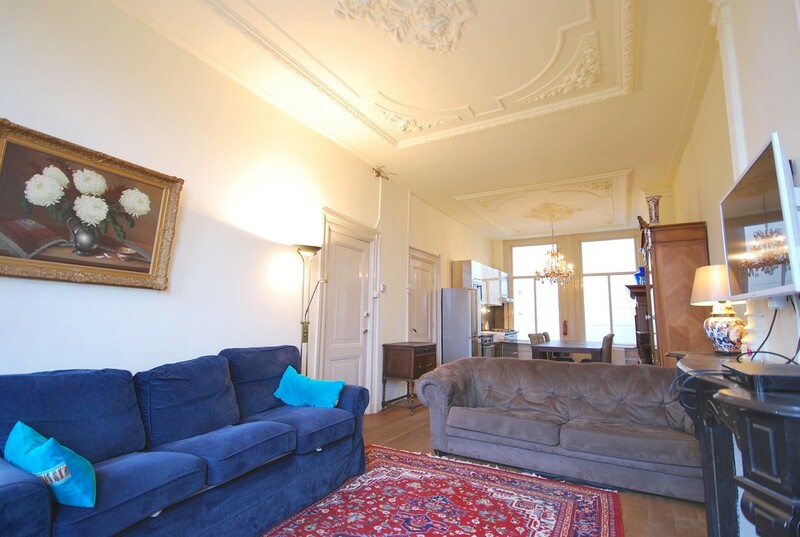 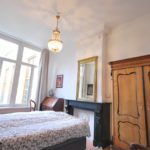 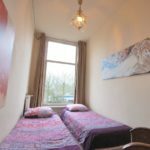 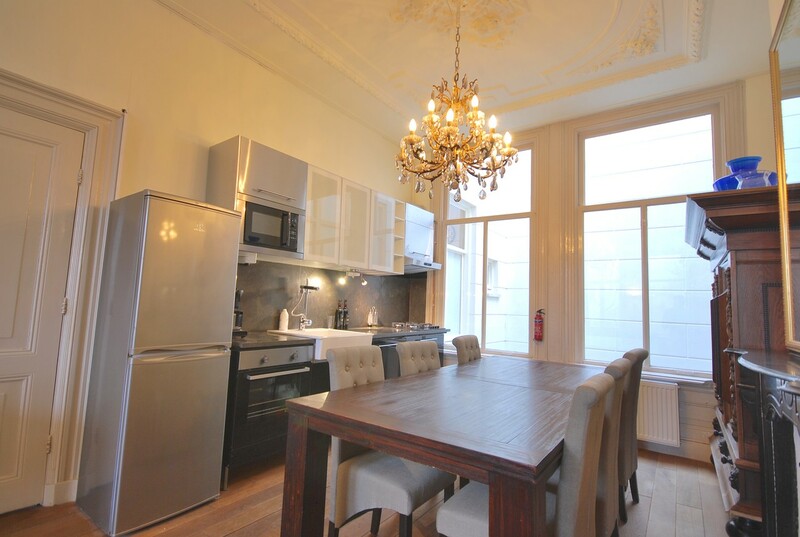 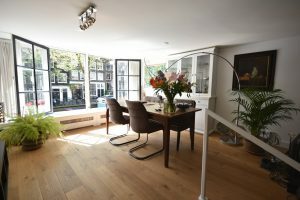 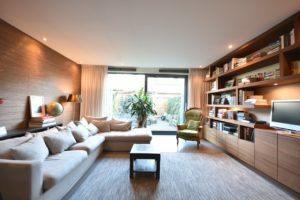 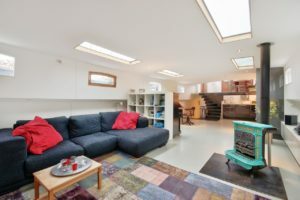 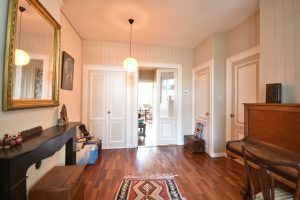 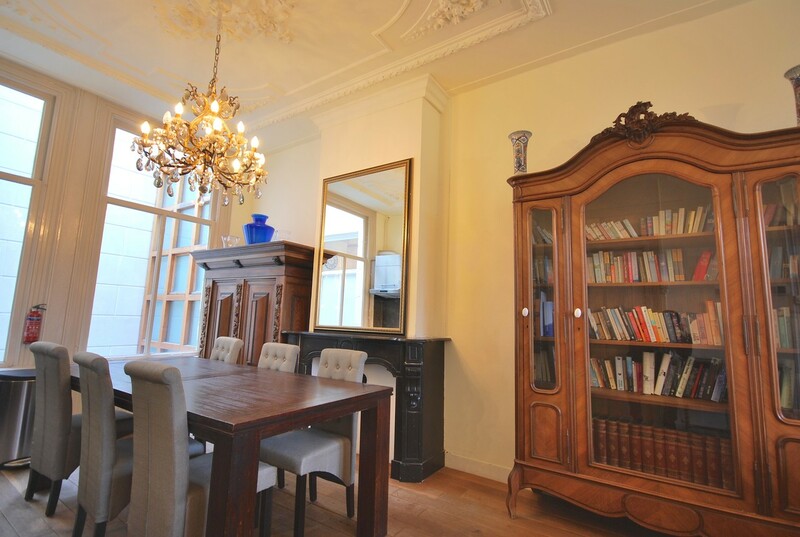 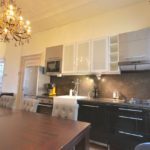 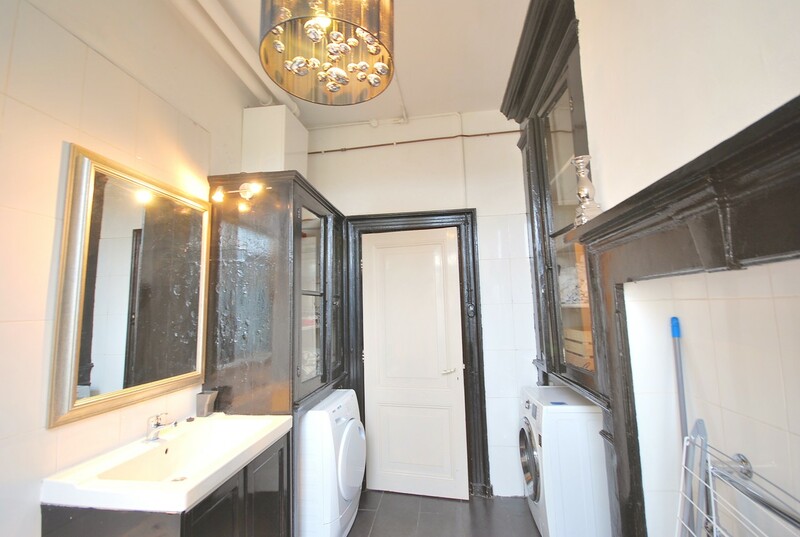 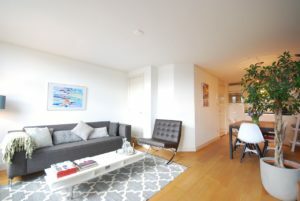 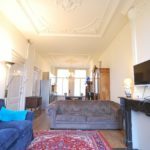 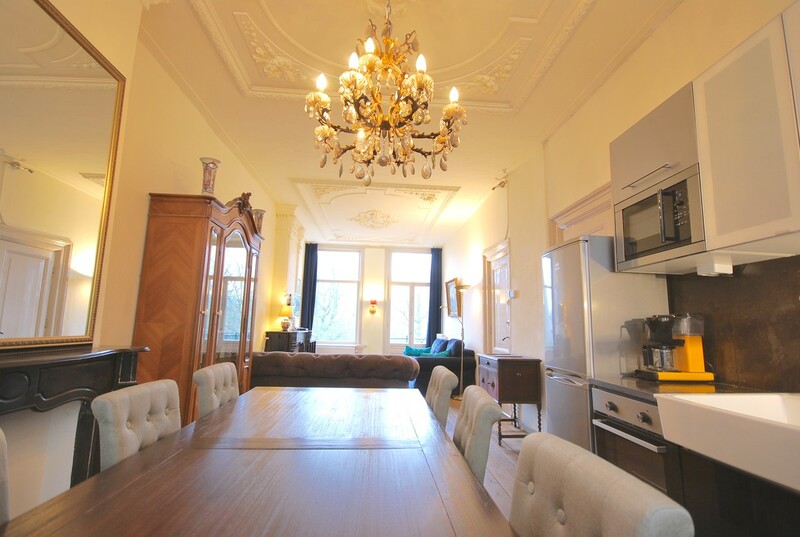 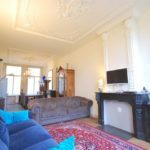 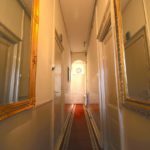 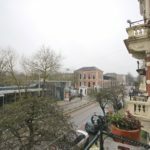 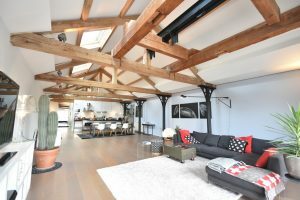 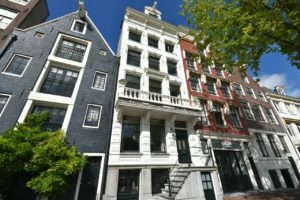 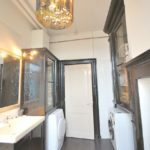 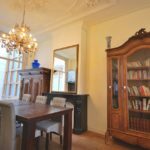 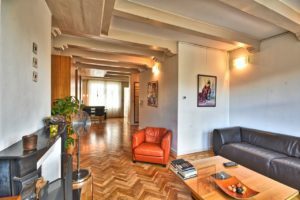 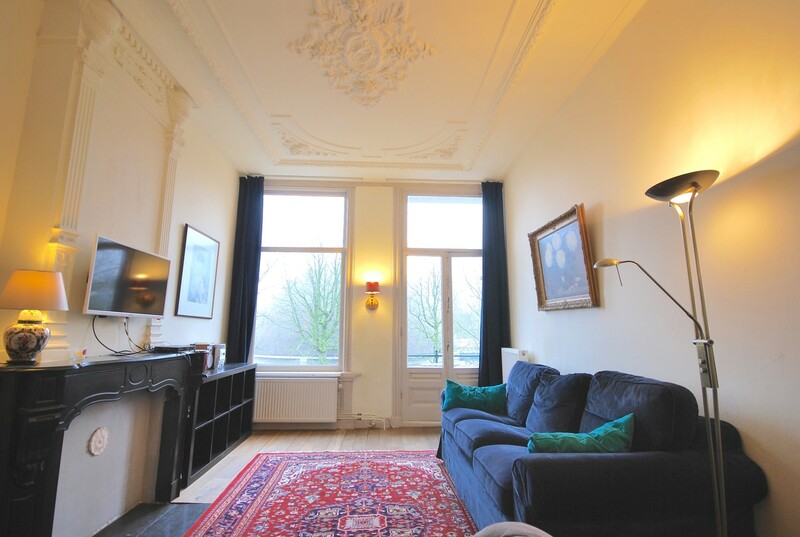 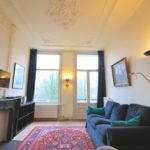 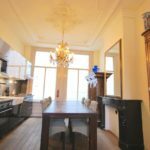 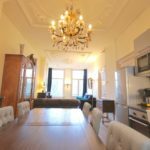 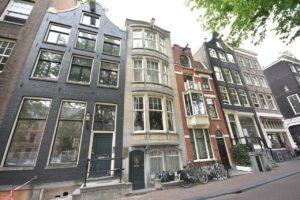 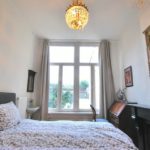 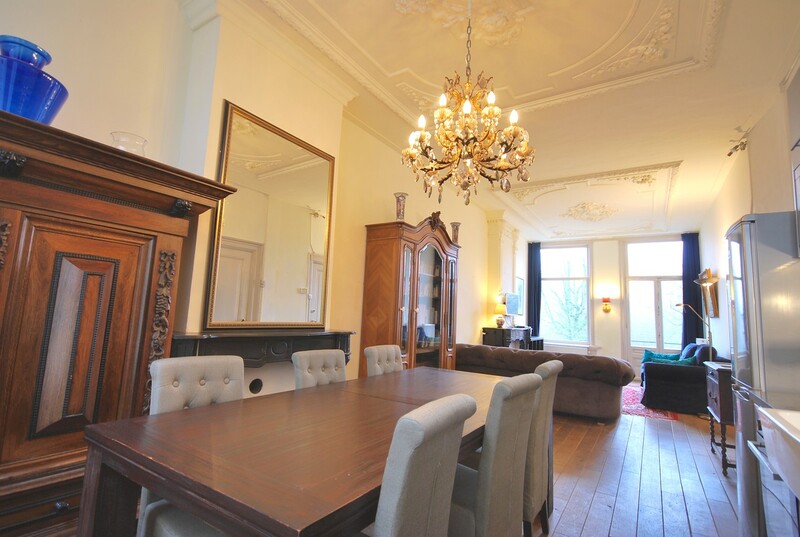 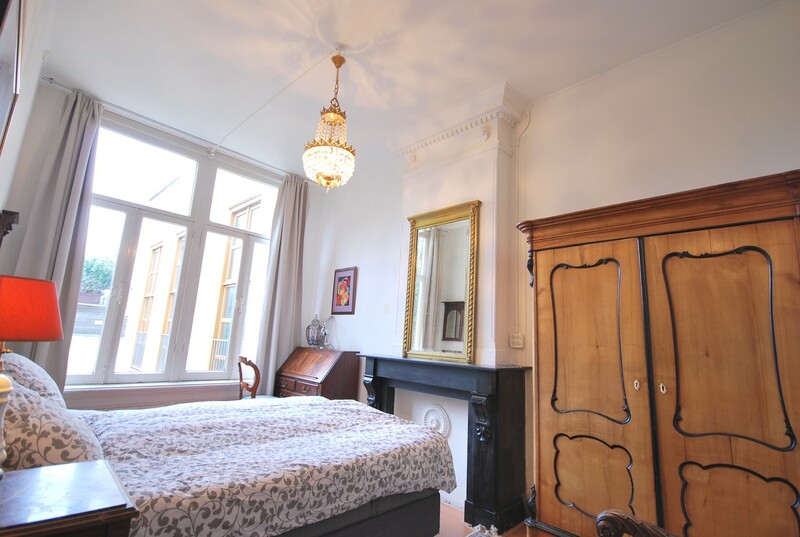 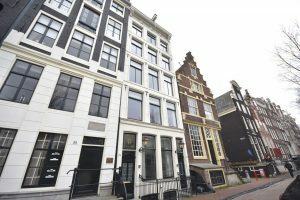 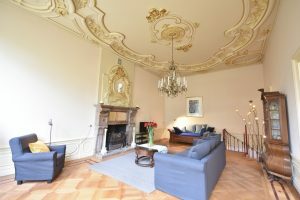 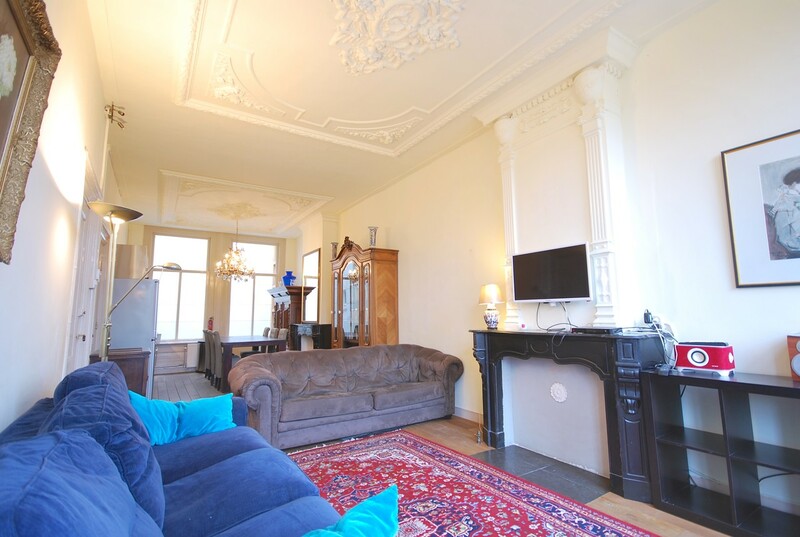 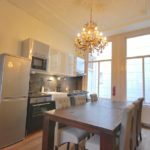 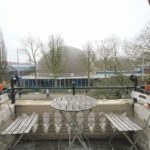 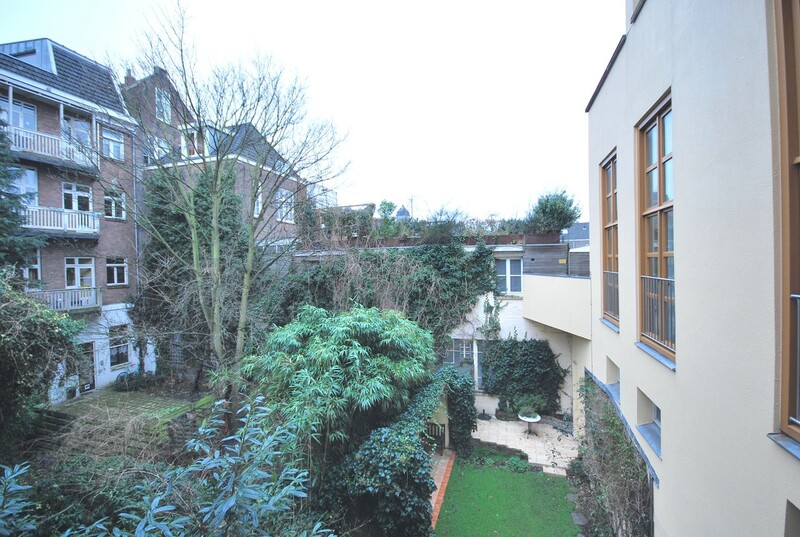 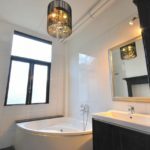 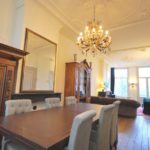 Very spacious 90m2 two bedroom apartment with high ceilings in historic building next to Artis zoo in the eastern center. 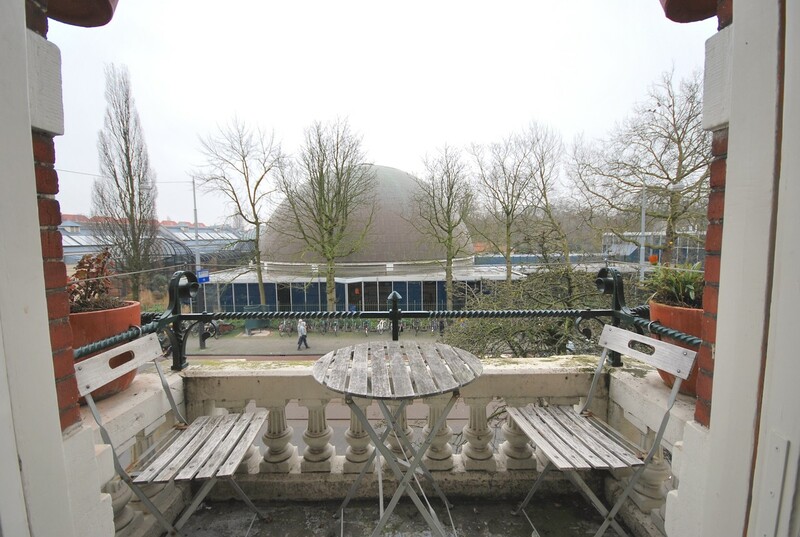 The living room has views to the Artis zoo. 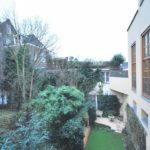 There's a balcony on street side. 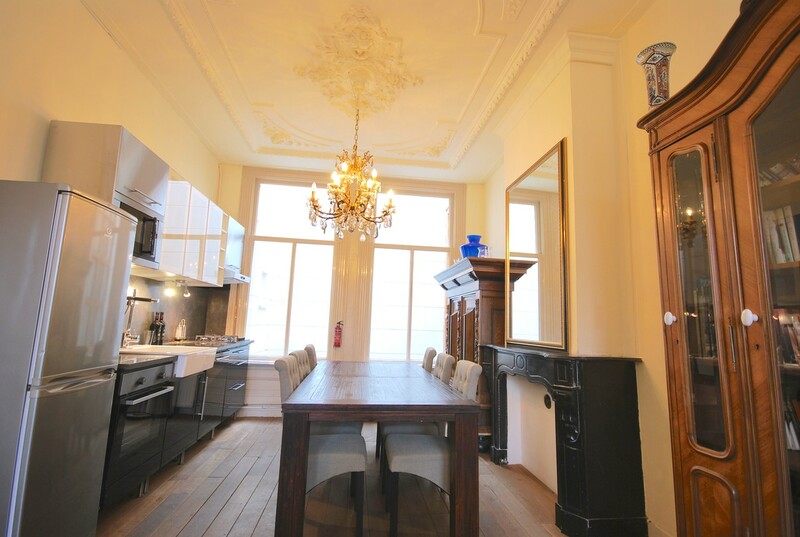 Behind the living area you will find the open dining kitchen. 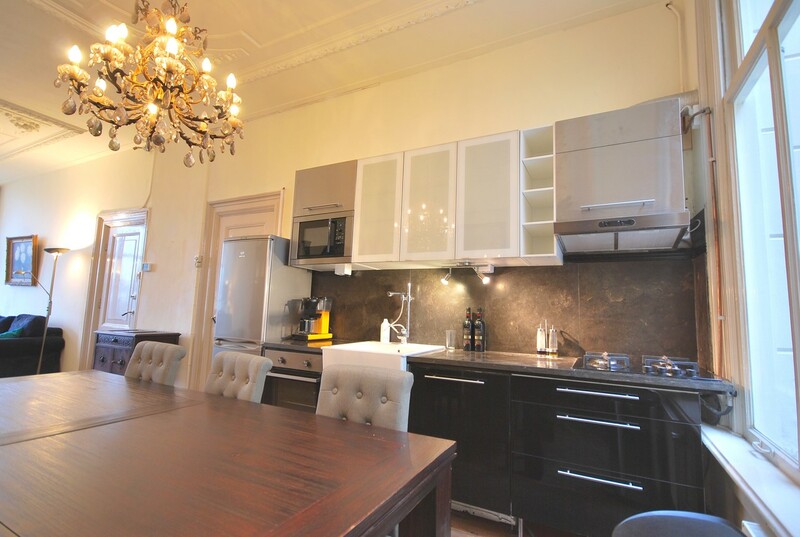 The kitchen is fully equipped with dish washer and oven. 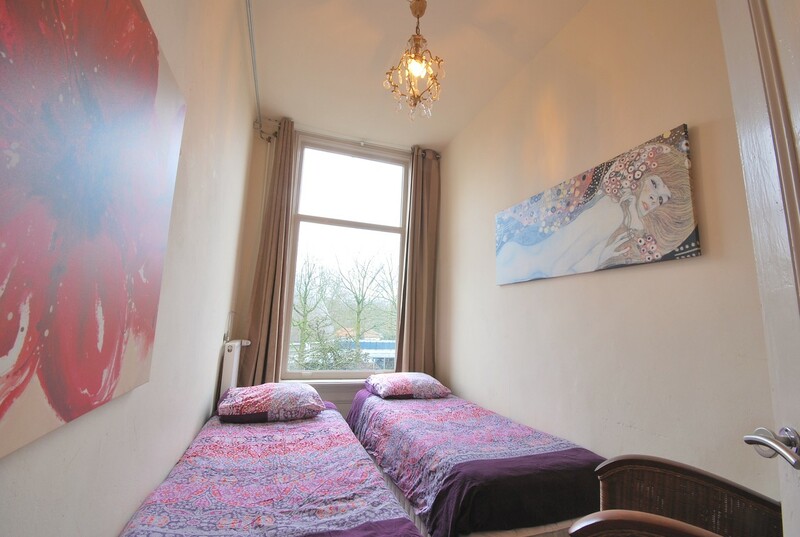 In the front and next to the living area you will find the second bedroom or study. 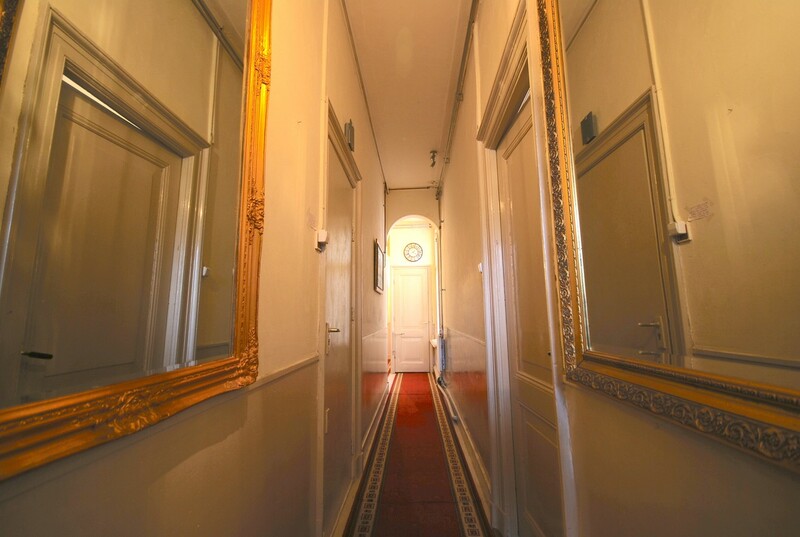 Following the tall hall you will find the seperate toilet and storage room. 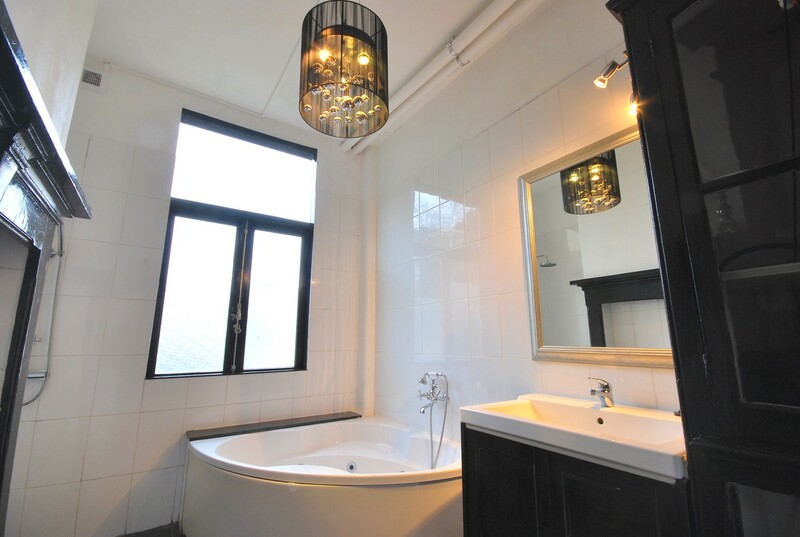 In the back of the apartment you will find the bathroom, equipped with bathtub and shower, washing and drying machine. 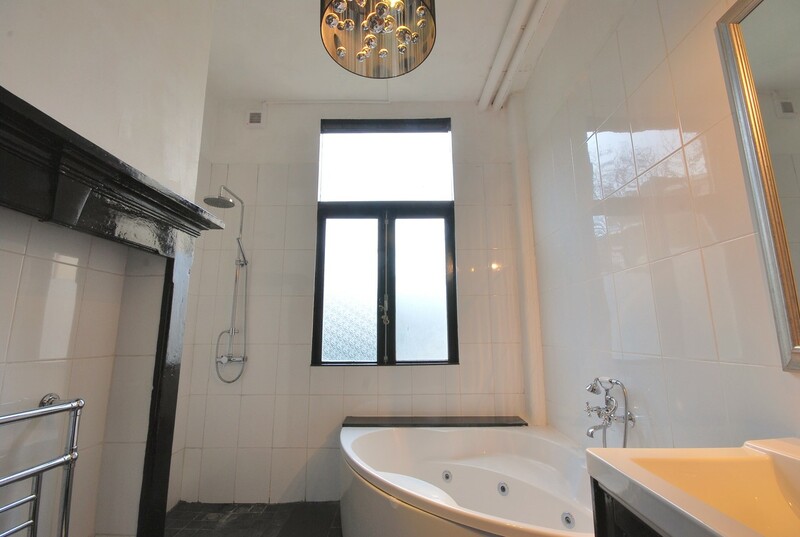 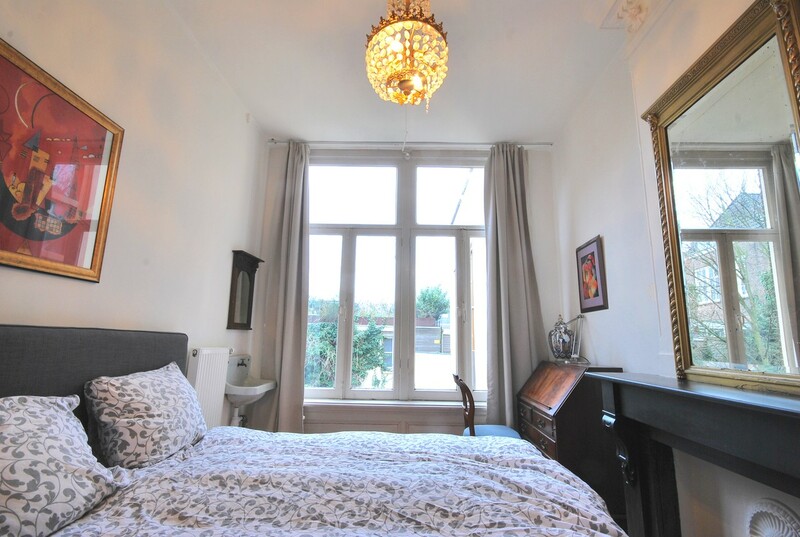 Next to to the bathroom you will find the master bedroom, with garden views. 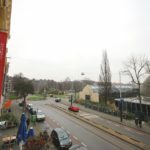 The area is called Plantage area. 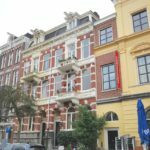 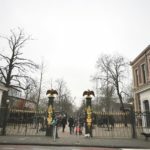 Apart from the Artis zoo, you are surrounded by a lot of interesting places such as the Tropical museum, Oosterpark, Wertheim park, Botanic gardens. 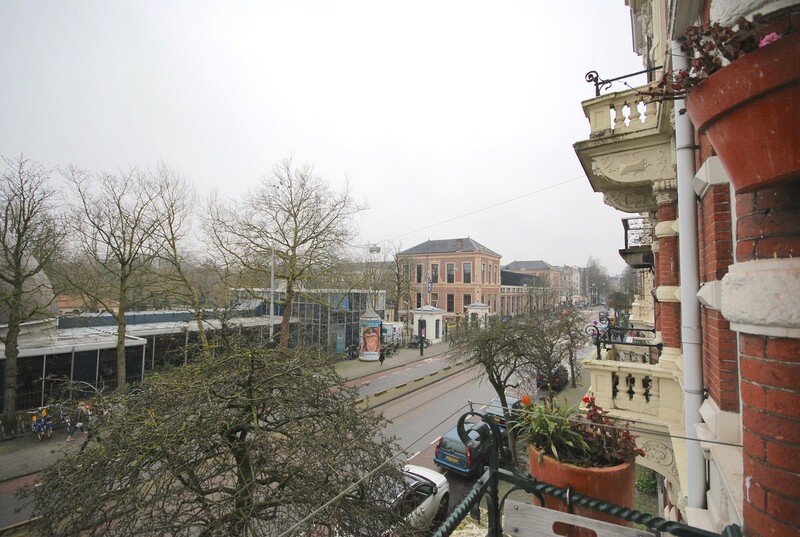 Trams are just around the corner. 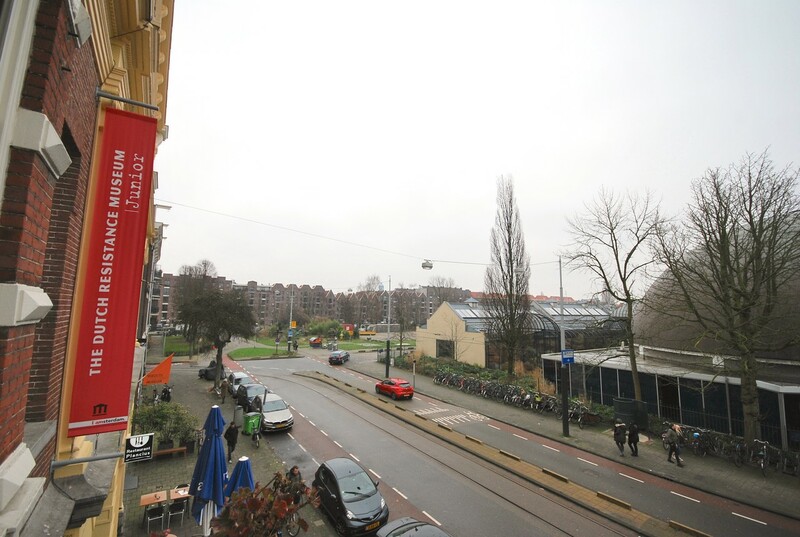 The Waterlooplein metro is 10 minutes walk (3 minutes bike). 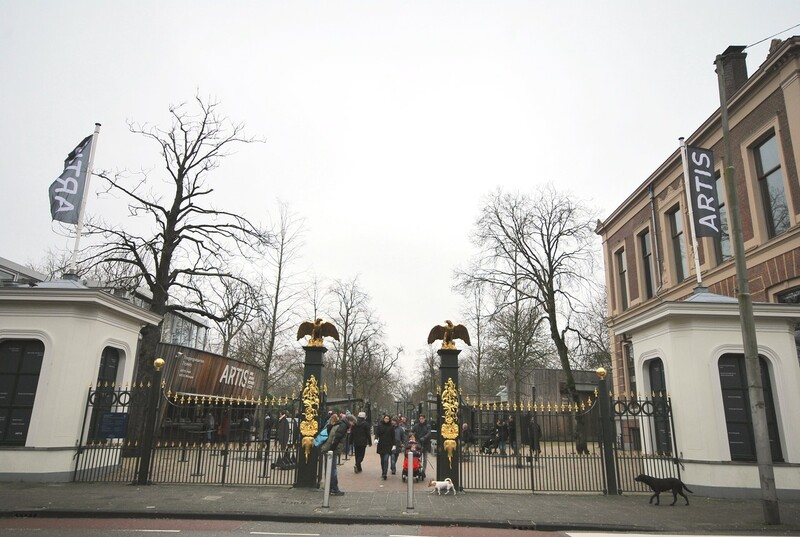 The central station is 20 minutes walk (5 minutes bike). 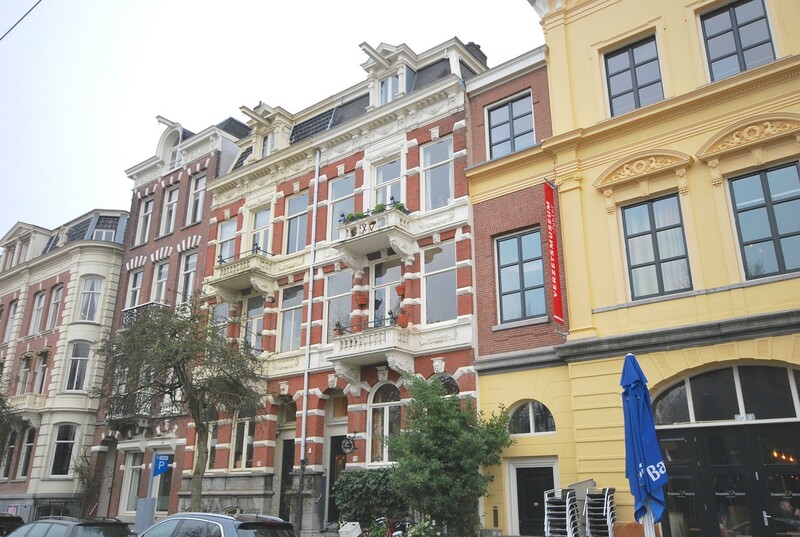 Several restaurants and bars. 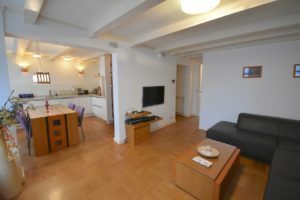 Interested in this apartment? 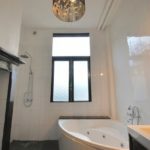 Fill in the search profile and we will contact you for an appointment.